This year, the International Office is hosting two students (from Myanmar and Mexico) in the Japanese Studies Program. 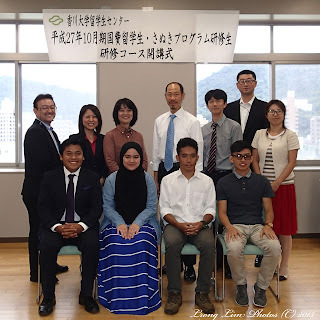 At the same time, we are also very pleased to host three students (two from Universiti Brunei Darussalam, one from Chiang Mai University) in the Sanuki Program. We conducted a simple ceremony to start off both these programs today. We hope they will enjoy their student life at Kagawa. Good luck !